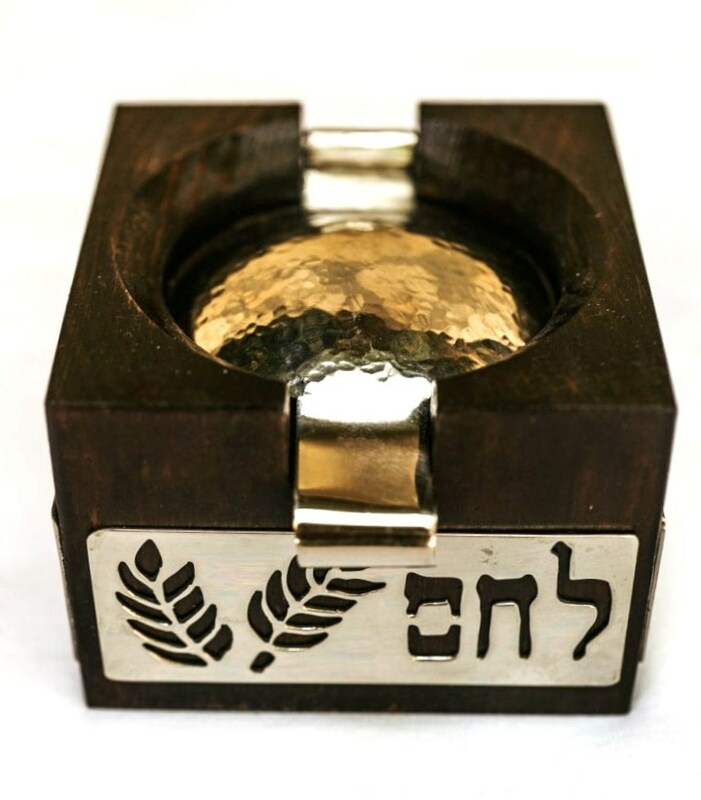 Square dark wooden box with glass bowl inside to hold salt. 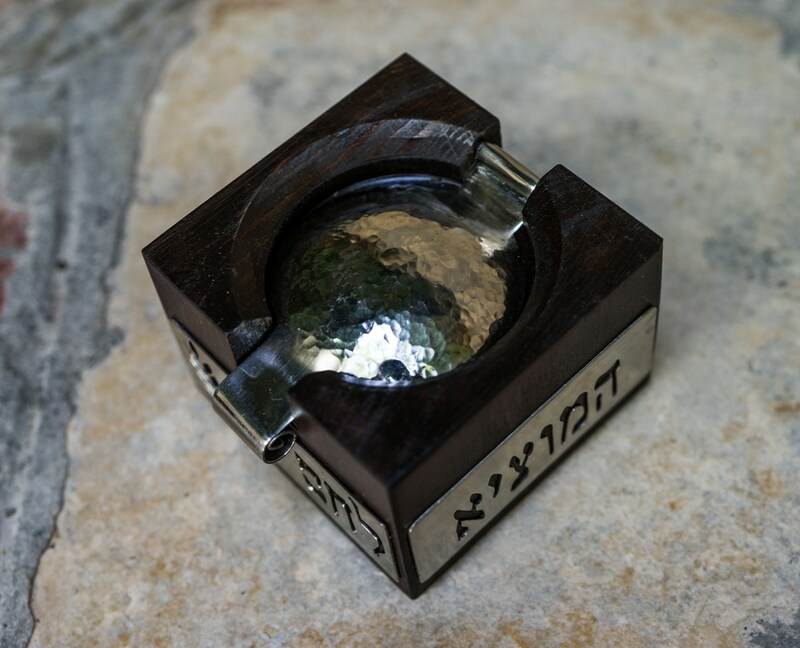 Comes with hand-sawn alpaca silver lid. 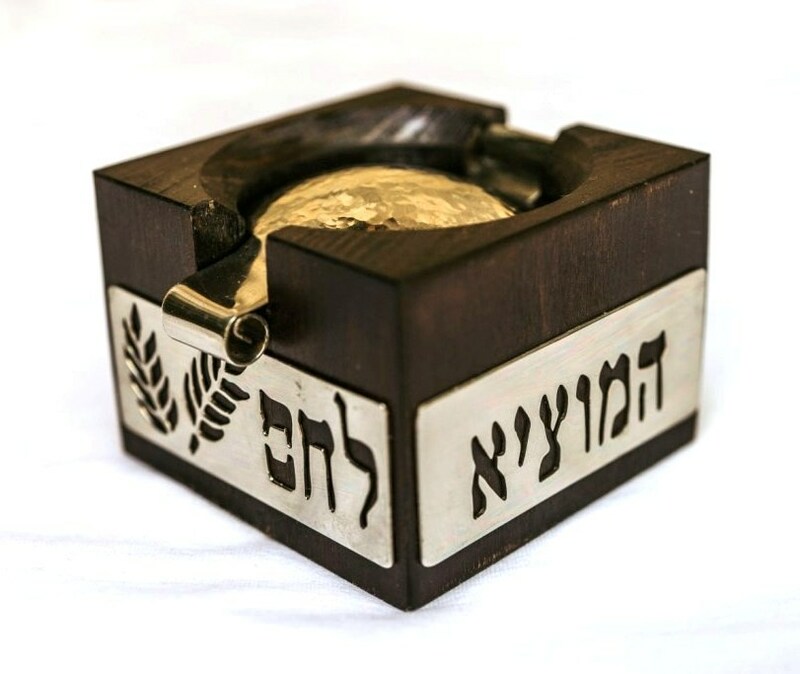 The Hebrew words "המוציא לחם מן הארץ" ("Ha'motzi Lechem Min Ha'aretz" - 'the one who creates bread from the earth' - part of the blessing made on bread) are also hand-sawn in alpaca silver and attached to the sides of the box. 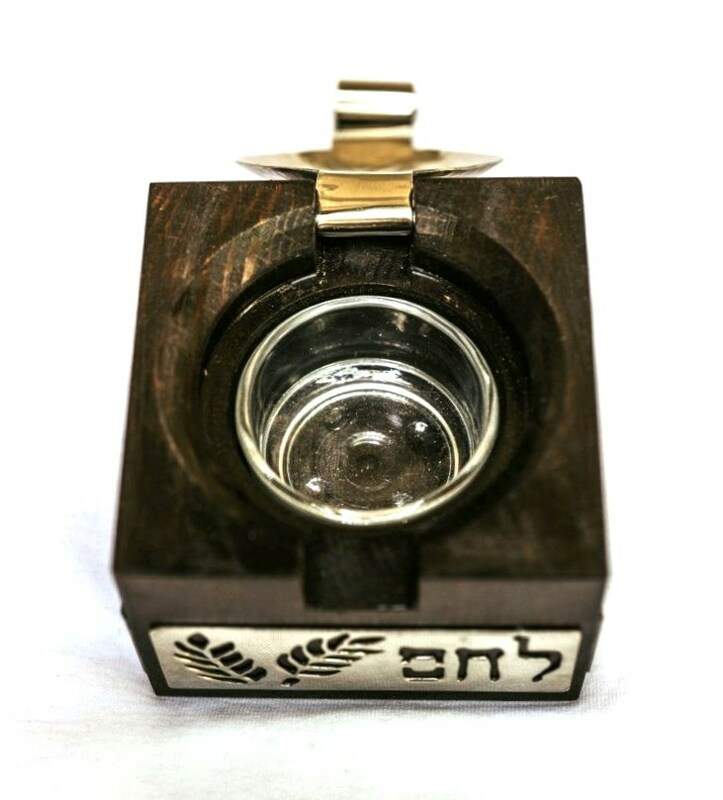 A work of art and a unique piece of Judaica! Bowl may be removed for easy cleaning. Approximately 3.2" x 3.2" x 2.75"